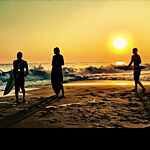 Sunsets, surfing and Pacific vibes from Oaxaca coast, Puerto Escondido. Thank you Mi Casa es Su Casa for all the magic! 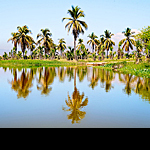 Laguna de Manialtepec is a coastal lagoon near Puerto Escondido in Mexico’s beautiful state of Oaxaca. These photos are from a birdwatching trip organized by Mi Casa es Su Casa blogger event I had the pleasure of sharing with lovely new friends Bettina Guisa, Cherry Chris, and Itzel Garrido who writes for alexjumper.com.